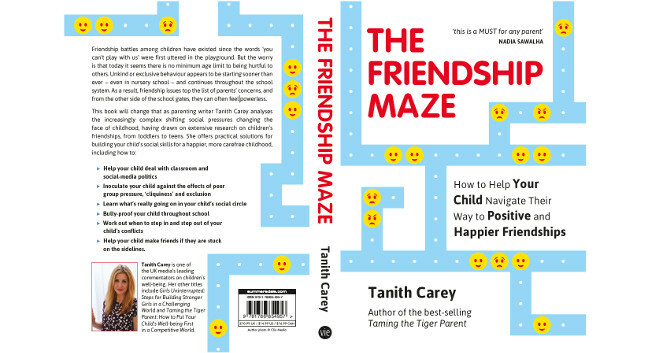 Freelance journalist Tanith Carey tells us about her latest books, ‘The Friendship Maze: How to help your child navigate their way to Positive and Happier Friendships’ and ‘What’s my Child Thinking? Practical Child Psychology for Modern Parents’. How did you come to write “What’s My Child Thinking?” and “The Friendship Maze”? Friendship is the second most important factor in making children feel good about themselves, after family. It’s also one of the issues that can make kids most unhappy if things go wrong. Parents tend to think there’s not a lot they can do to help when kids get upset. But, in fact, there’s a range of social science which, I explain in the book, which will help them understand what’s really going on in their child’s social relationships, and show them how improve their friendship skills, especially if they are getting into a lot of rows or being left out. 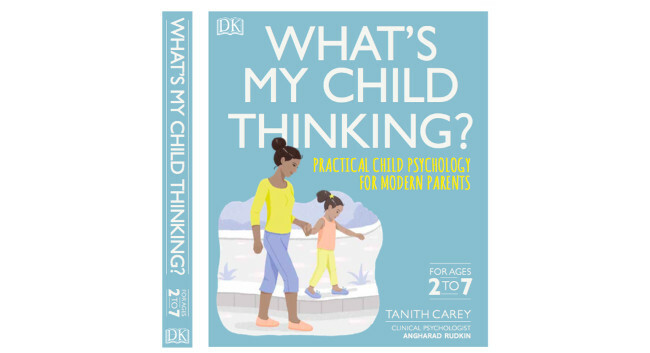 I wrote ‘What’s My Child Thinking? because it’s exactly the sort of book I wanted then my children were smaller. It uses child psychology to explain the world through your child’s eyes in more than 100 different every day scenarios for two to seven-year-olds, all laid out in simple steps which you can access in those crisis moments –like when your child refuses to put their coat on or throws their dinner on the floor. Kids most of all want to be understood. And this book, written with child psychologist Dr Angharad Rudkin, really helps parents do that. It looks beautiful too. Any tips for other journalists thinking of writing a book? Set aside a lot of time and don’t attempt to do it at the same time as full-on journalism. I think writing a book needs to be a very immersive experience and it always takes longer than you think it will take. What book(s) are you reading right now (or about to pick up)? I’m about to start writing a book on teenage psychology so I have got a big pile of books waiting to be read on how their brains work. Where can we read your everyday journalism? I write for a wide range for newspapers and magazines, including The Daily Telegraph, The Guardian, the Daily Mail and Sun Online as well as the women’s weeklies. As a vegan and mother of two vegan daughters, I also write the beauty and eating out pages for Vegan Living Magazine, as well as general features. Yes, as a writer on parenting, psychology, social trends, veganism etc. I am also available for comment on parenting news stories, analysis pieces on the challenges parents face, opinion and parenting tip pieces. If I’m a PR professional/business with a story for you, can I get in touch (and what’s best for you)? Please email me on tanithcarey@gmail.com with a quick summary of what it’s about in the email header so I can spot it easily.